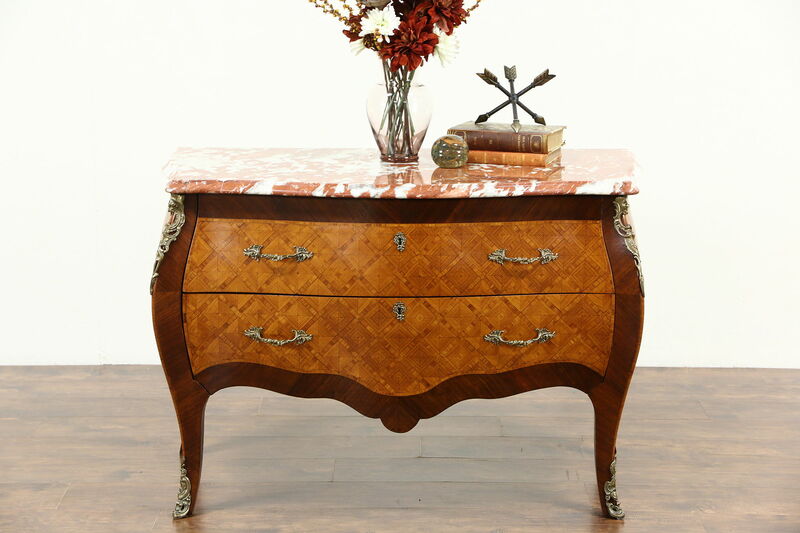 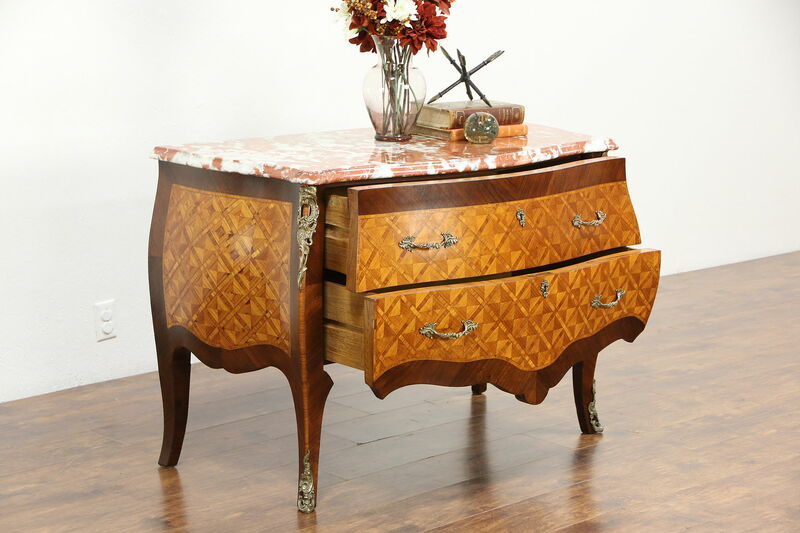 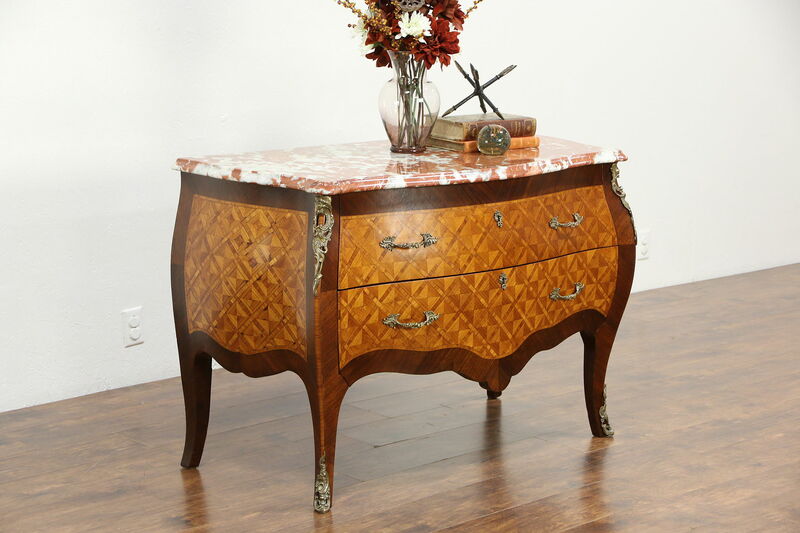 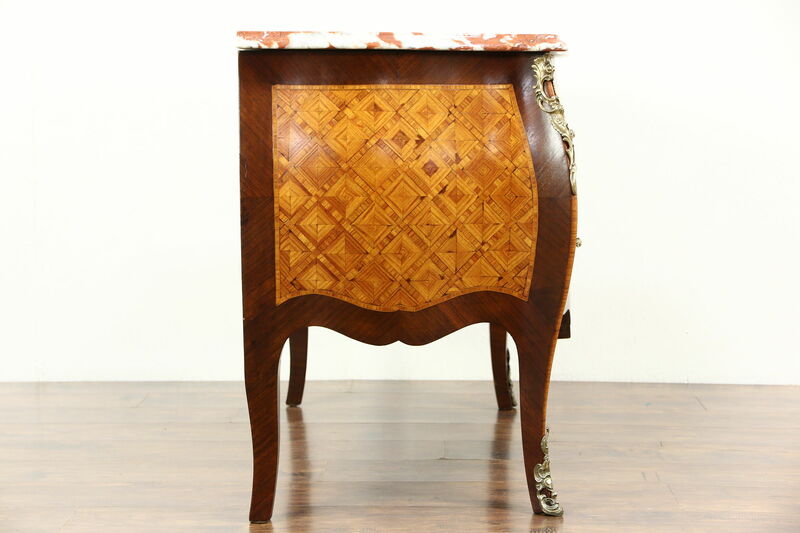 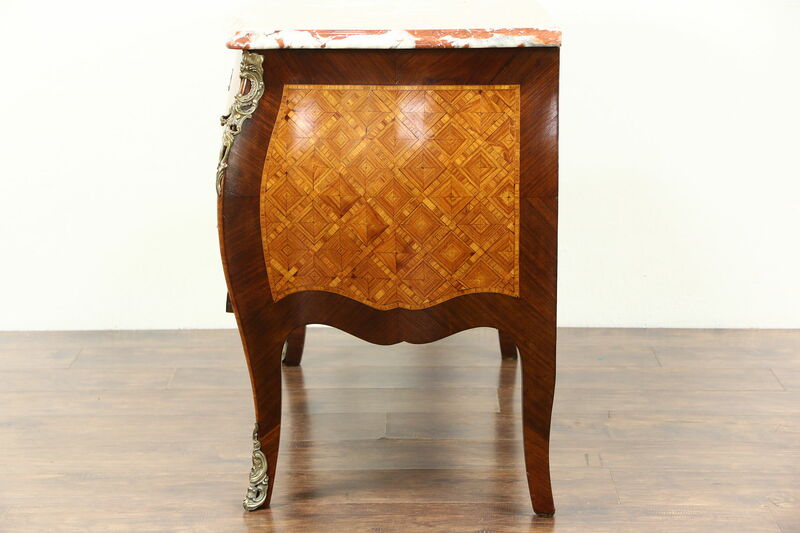 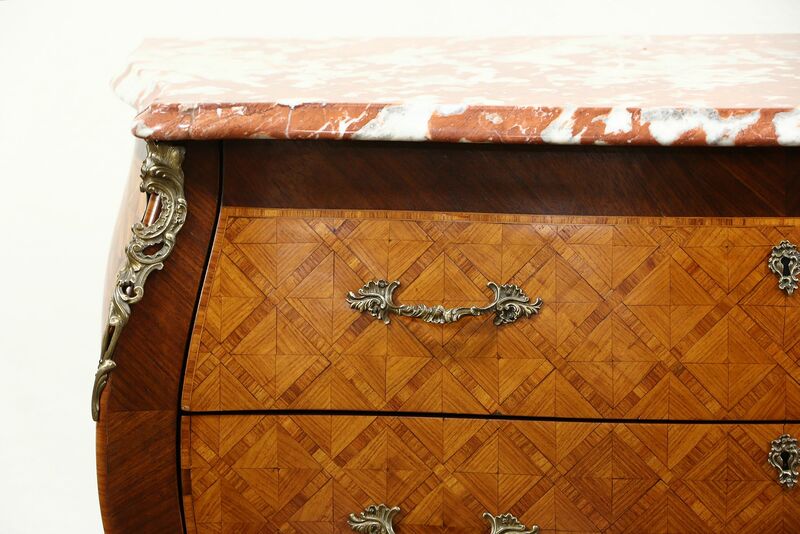 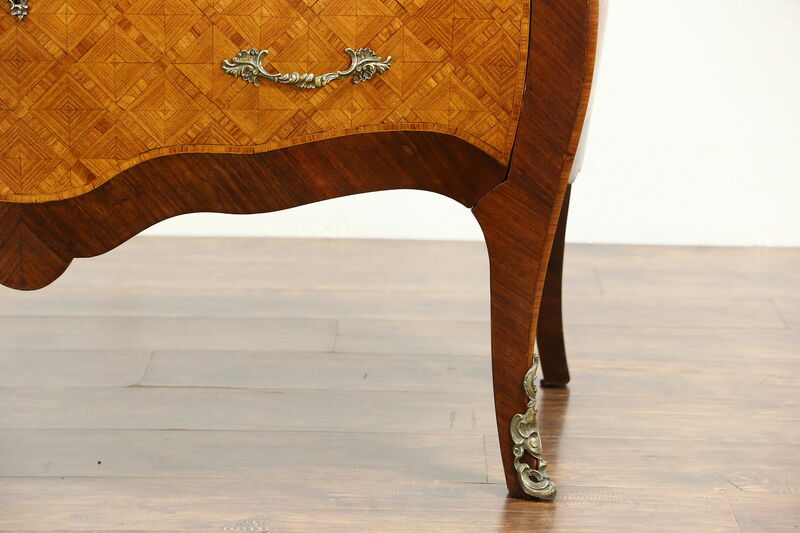 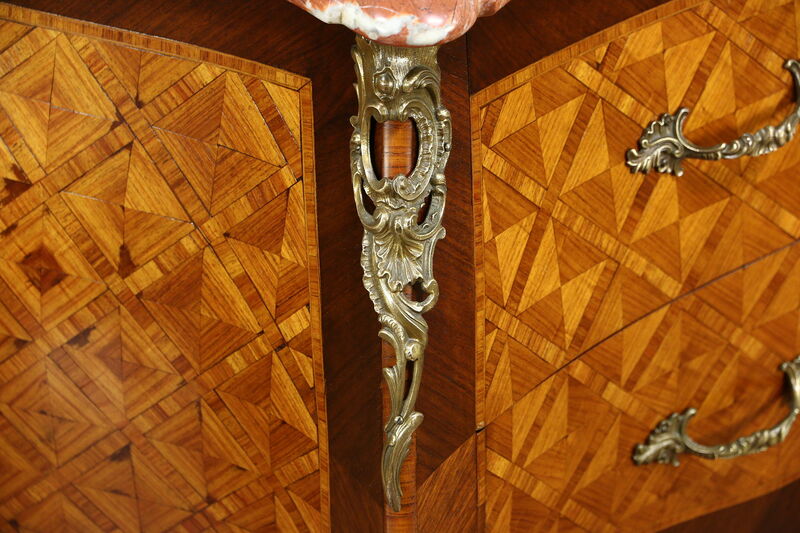 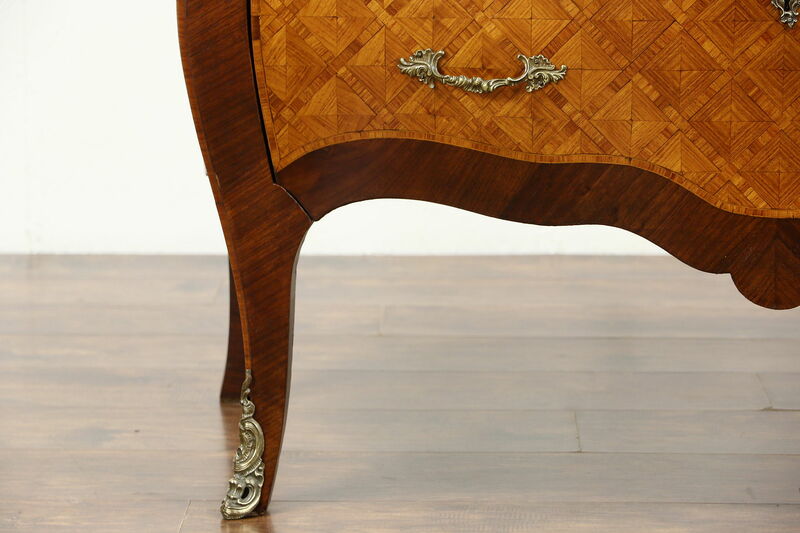 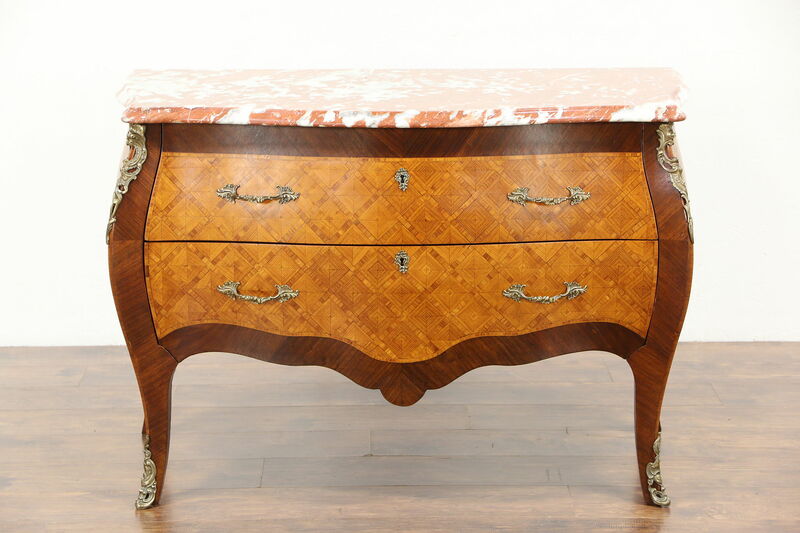 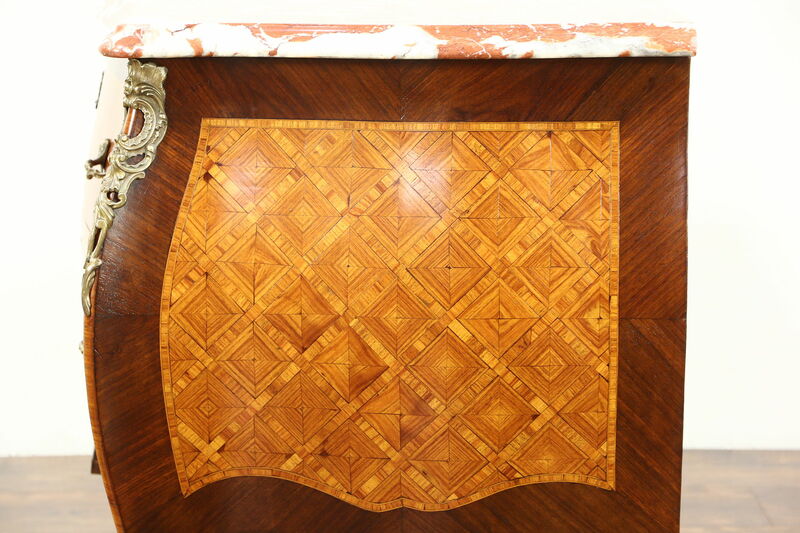 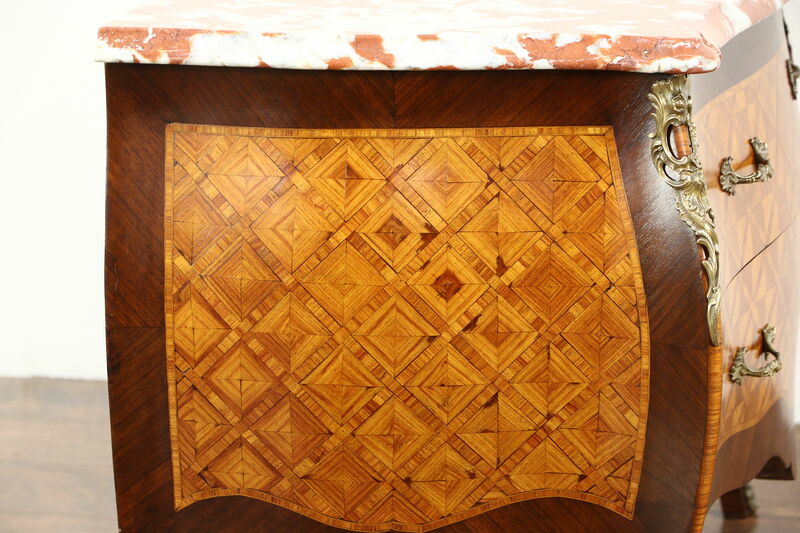 A magnificent "bombe" chest or commode was hand crafted in Italy with genuine tulipwood and rosewood marquetry and a marble top in the 1930's. 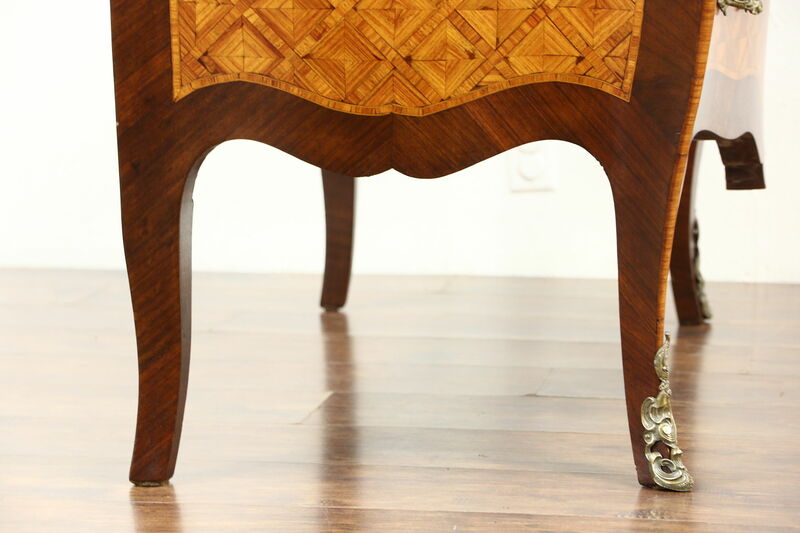 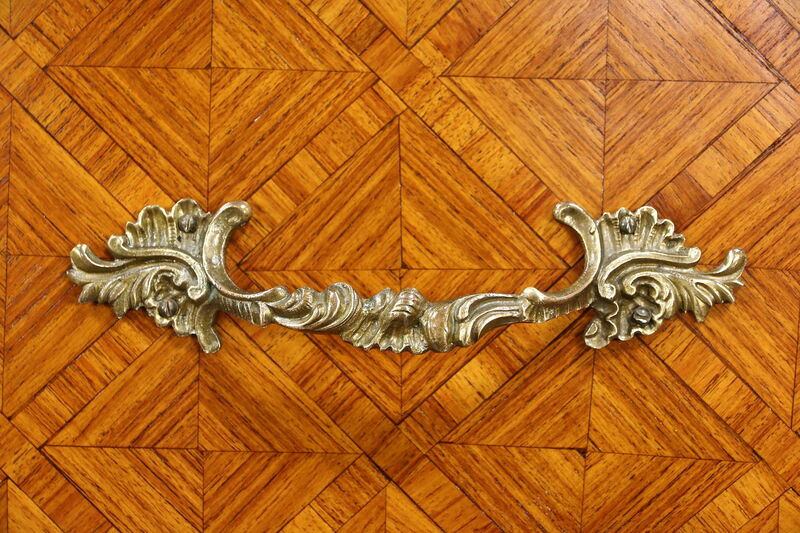 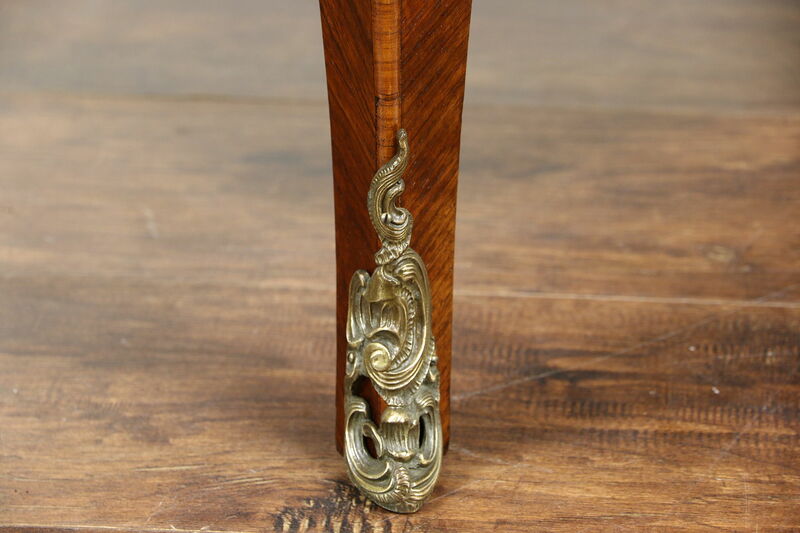 The restored finish is in excellent condition, cast brass mounts and pulls are original. 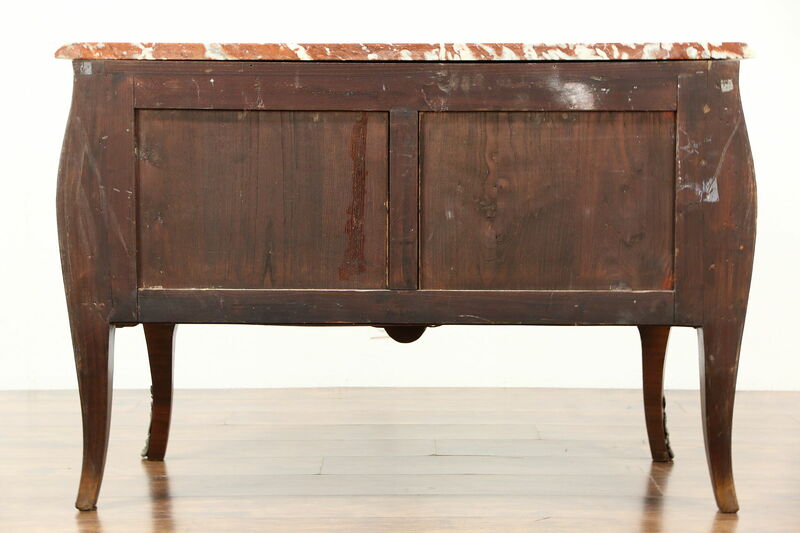 Drawers have solid oak sides on this palatial vintage furniture. 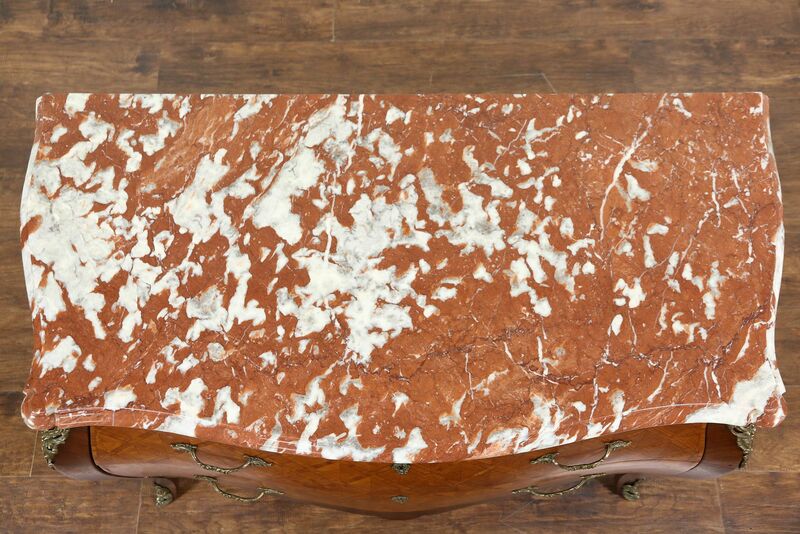 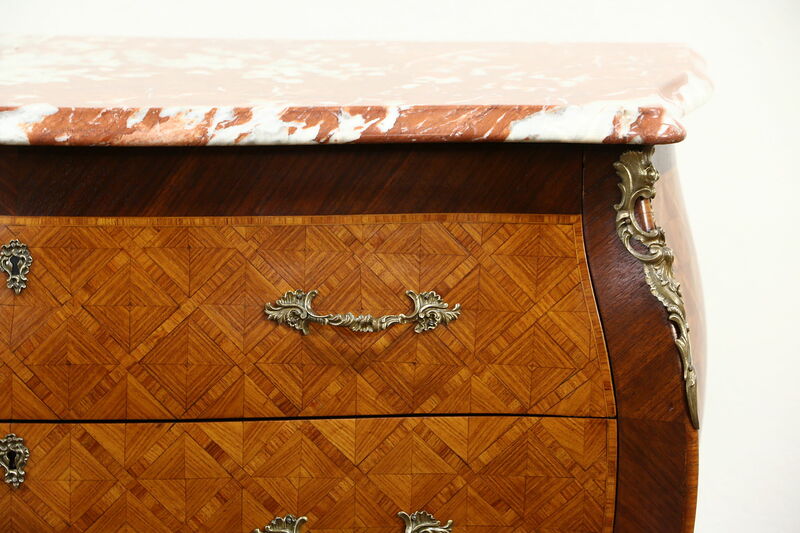 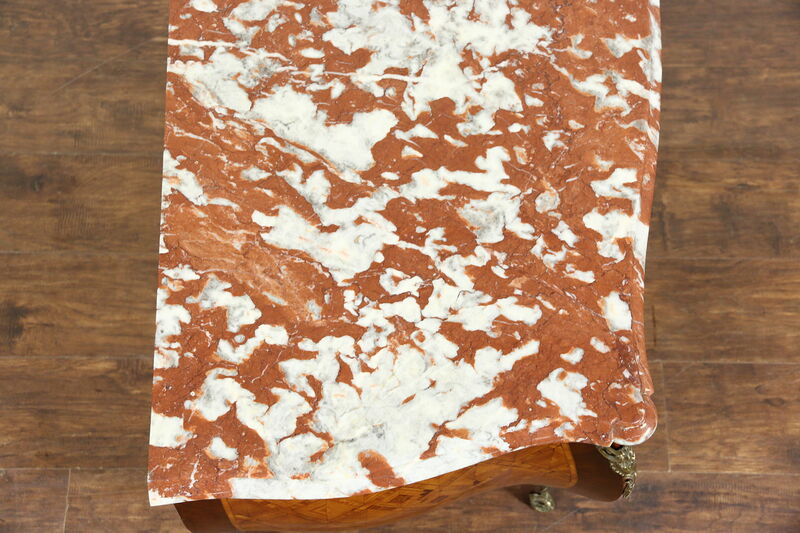 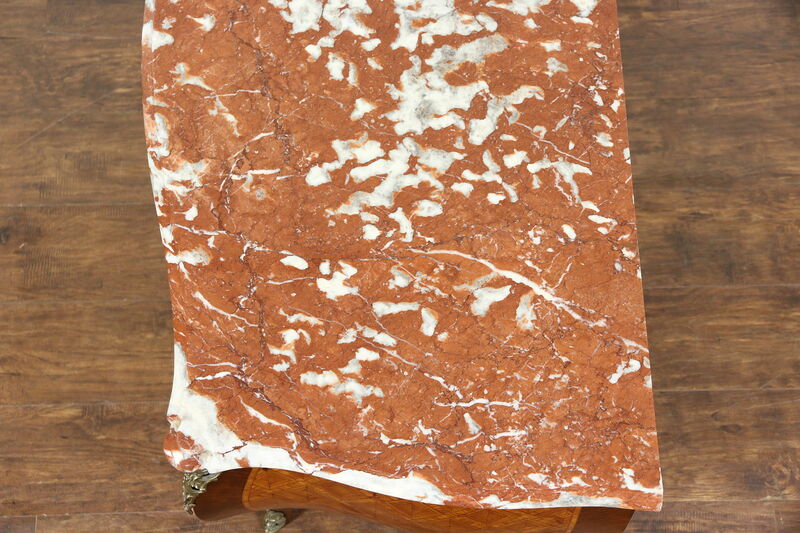 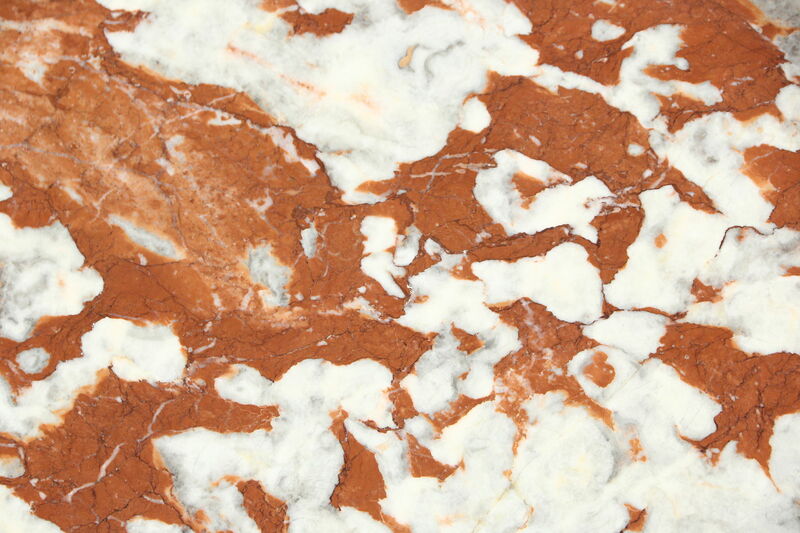 The original shaped marble has been polished and given a finish for protection. 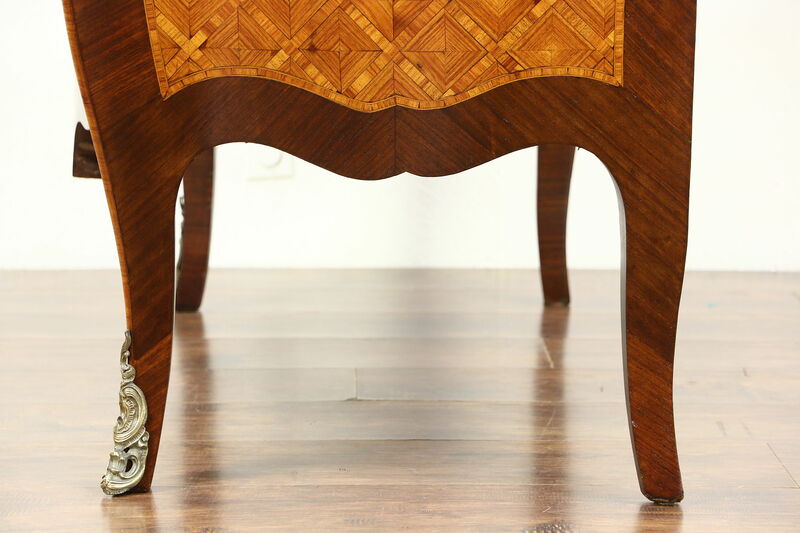 Measurements are 48" wide, 24" deep and 32" tall.